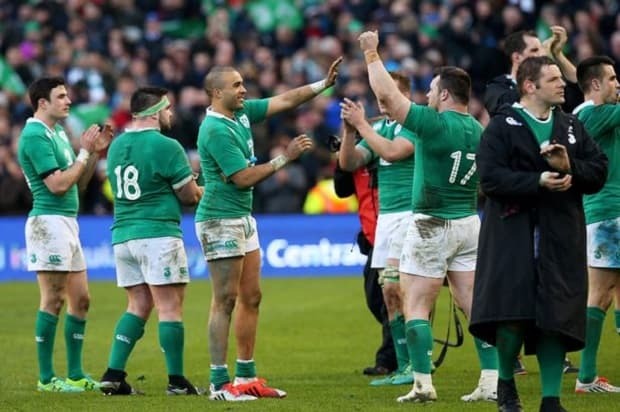 Ireland’s hard-fought win over England landed us a winning bet, but more importantly put them within touching distance of a superb Grand Slam in this year’s Six Nations tournament. This weekend they travel to Wales – now the biggest hurdle left to face if they are to claim a clean sweep of Six Nations, Grand Slam and Triple Crown. England will be waiting in the wings if the Irish slip up this weekend, while the Welsh also have a slim chance of winning the whole thing, but would require a massive points swing in their favour. England face bottom-of-the-table Scotland at Twickenham, and if nothing else, will use the match as further preparation for the upcoming World Cup. It promises to be a fascinating weekend of Rugby, and we’ve got a tip for both of Saturday’s matches. The results of two weeks ago saw Ireland prevail 19-9 over England in the match that many saw as the Six Nations decider, with four Sexton penalties proving crucial. Scotland suffered a shock home defeat against the Italians, going down 22-19, and with England and Ireland left to play, look favourites for the wooden spoon. Wales beat France 20-13 in Paris in an excellent victory which gives them a glimmer of hope that they could pip both Ireland and England to the title. Ireland top the table at the moment with six points after three wins from three, and they also have by far the most impressive points record, having scored 63 and conceded just 23. England come next with four points from their two victories, and are the top scorers with 77 points. However, in a repeat of last year’s tournament (which they lost on points difference to Ireland) their defence has been frail and they’ve conceded 52. Wales are also on four points, but have an even worse points differential than England, having scored 62 but conceded 57. Two victories for Ireland would seal the Grand Slam, which we tipped at 6/1 7.00 +600 6.00 6.00 -0.17 before the tournament. If Wales can turn over the Irish in Cardiff, it’s conceivable that all three contenders could finish on the same points, and that’s where the scoring difference proves to be all important. The final games of the championship see Ireland play Scotland, Wales play Italy, and England play France – games that all three will be favourites to win – so this week’s matches are all important. There have been some bullish noises coming out of the Welsh camp in the build-up to the game, with Wales Captain Sam Warburton, saying that beating Ireland would be right up there with the Welsh win over South Africa at Cardiff in November. International games are never easy against Wales and one thing is for sure, that they will be 100% up for the match. They stood up to the French physicality particularly well in Paris two weeks ago, and deserved the 20-13 win. The defeat against England on the first day of the tournament had left them with a mountain to climb in search of a 5th Six Nations title in 11 seasons, and a poor performance against Scotland saw them concede too many points in a 26-23 win. Realistically, they would need a big win against the Irish and again against Italy in the final game to have any hope of lifting the trophy. That’s a tough ask against an Ireland side that have won their last 10 Internationals, and also have a decent record in Wales. They won here on their way to the Grand Slam in 2009, and also won when they visited in 2013. Their only recent Six Nations defeat on Welsh soil was in 2011, when they were beaten 19-13. They hammered the Welsh by 26 points to 3 in last year’s tournament, and definitely come here as favourites. The news that Johnny Sexton has been passed fit for the match is crucial, and he has been pivotal in the successes of this tournament so far. Ireland will fancy their chances of beating a toothless Scotland side next time out, so this match is really all that stands between them and a Grand Slam. We’re backing them to come out determined, and claim the victory that will all but seal the title. After a good start to the tournament which saw England win in Wales then thrash Italy 47-17, they were disappointing in the defeat against Ireland. This tournament was always going to play second fiddle for the English to a degree with the World Cup looming, but after that defeat it’s clear that there is still plenty of work to do. They will know the result of the Ireland v Wales game before the tea-time kick-off, and that could have a big effect on their approach, but this match is for the Calcutta Cup which comes with it’s own prestige. England will be motivated to rack up a big score, to keep pace with the Irish if the other match goes the way of the Welsh, to restore some pride and confidence after last week’s defeat, and to earn bragging rights over the Scots in what is always a fiercely contested game. Scotland will be desperate to do well in this game, particularly after the loss to Italy, and they need a win in the last two games to have any chance of avoiding the wooden spoon. However, they’ve been guilty of conceding too many penalties in their games in the tournament so far, and their over-exuberance in this match might cost them dear. We’re backing England to continue their free-scoring and to overcome a -16 handicap in the match. This is more of a risky bet, as Scotland have only lost by small margins in each of their three fixtures so far, but England have beaten the Scots by 20 points in each of the last two Six Nations match-ups, and are warning of a backlash after the poor result in Ireland.